La-Z-Boy Furniture Galleries of Pineville, NC is one of eight locations owned by La-Z-Boy Southeast. We’re a family-owned company that’s proudly served NC, SC, and GA since 1976. We carry La-Z-Boy’s complete collection of living room, dining room, and bedroom furniture. Our sofas, sectionals, chairs, recliners, and more come in a variety of styles and are available in over 900 leathers and fabrics. 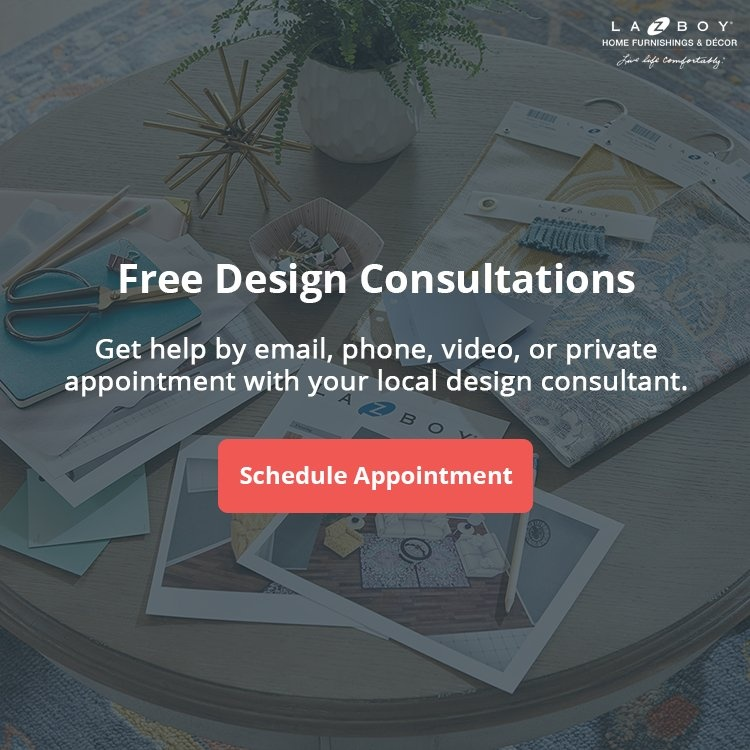 Plus, our free design service will help you bring your dreams to life by giving you complimentary access to a professional interior designer. La-Z-Boy Furniture Galleries of Charlotte, NC is another one of the eight locations owned by La-Z-Boy Southeast. We’re a family-owned company that’s proudly served NC, SC, and GA since 1976. La-Z-Boy Home Furnishings & Décor of Asheville, NC is one of the eight locations owned by La-Z-Boy Southeast. We’re a family-owned company that’s proudly served NC, SC, and GA since 1976. 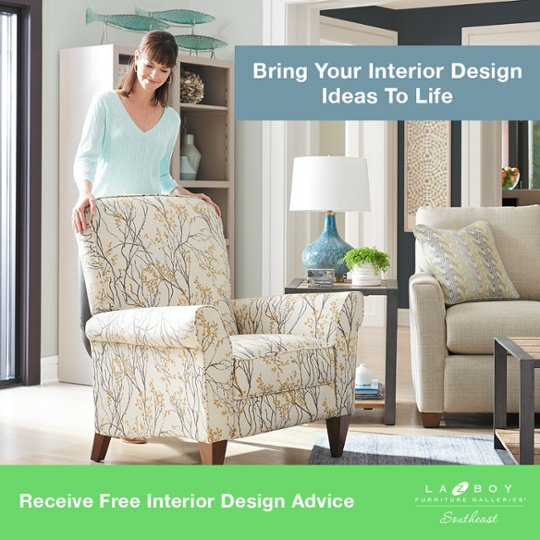 La-Z-Boy Furniture Galleries of Wilmington, NC is a furniture chain known for its signature recliners, sofas, and more. They offer La-Z-Boy’s full range of great-looking, comfortable furniture designed to help you create the look and home of your dreams. Their sofas, sectionals, chairs, recliners, and more come in a variety of styles and are customizable to match your unique look. High quality construction and craftsmanship combined with professional design services will help you bring your vision to life. La-Z-Boy Furniture Galleries of Havelock, NC is a furniture chain known for its signature recliners, sofas, and more. Their sofas, sectionals, chairs, recliners, and more come in a variety of styles and are customizable to match each customer’s unique look. La-Z-Boy Furniture Galleries of Winston-Salem, NC is a furniture chain known for its signature recliners, sofas, and more. 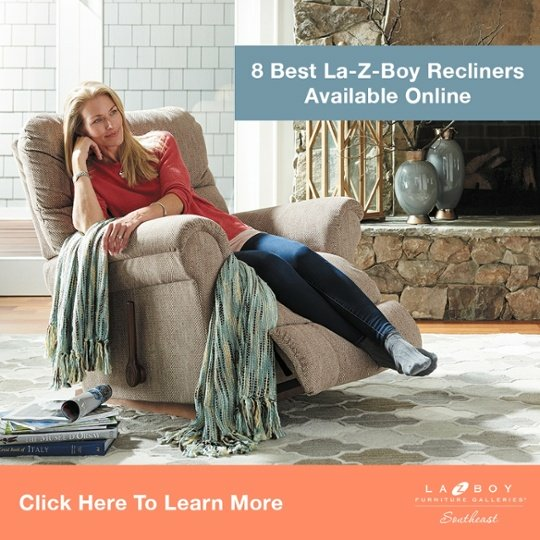 La-Z-Boy Furniture Galleries of Greensboro, NC is a furniture chain known for its signature recliners, sofas, and more. La-Z-Boy Home Furnishings & Décor of Cary, NC is a furniture chain known for its signature recliners, sofas, and more. La-Z-Boy Furniture Galleries of Raleigh, NC is a furniture chain known for its signature recliners, sofas, and more. All of these convenient locations make shopping for La-Z-Boy Furniture in North Carolina a breeze. These furniture stores carry a wide selection of living room, dining room, and bedroom furniture. We’d be happy to help you bring your dreams to life at any of our locations in NC, SC, and GA.